So I've got some awesome picks on here. As you can see, several of these are series which I have been reading for a while but we've got the next story arc from Wilds End out today!! 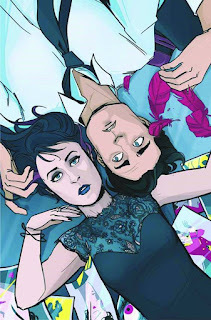 There's also a new series called Public Relations from Devils Due Comics which has peaked my interest. Not a whole lot that I want to report on but please stay tuned as I have a very special interview to post tomorrow! Till then, enjoy your new comics!